Okay, I know what you;'re thinking. No, we aren't cooking, at least not with food. It's time to announce the November Hump Day Hop! Since many of us are getting ready to think about cooking for Thanksgiving, we thought it would be fun to have a recipe challenge! That's a pretty easy recipe...even for me! Of course, you can add extra elements, but let's let the 3 ingredients I mentioned take center stage. 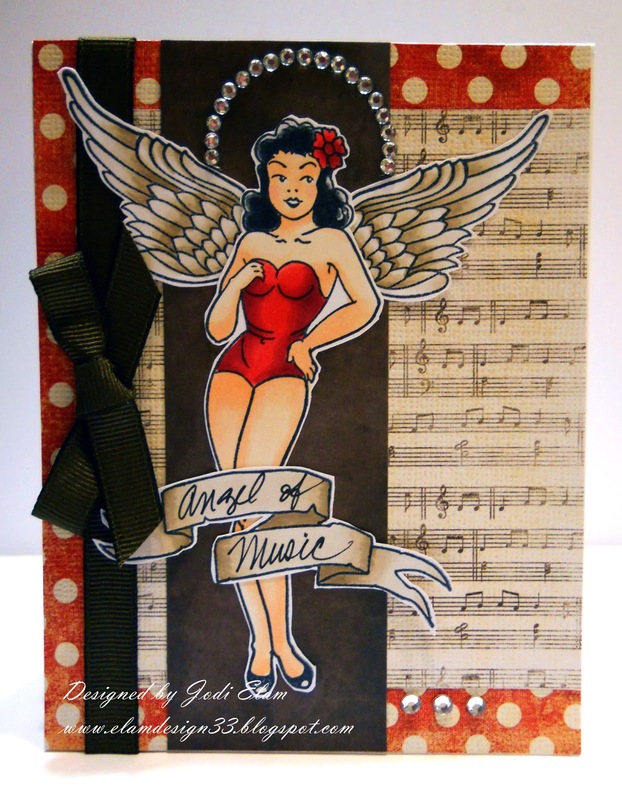 So here's my recipe, I used Bombshell Angel, Sacred Heart and Banner Sayings stamp sets. Of course I colored her with Copics, R35, R37, R39, E000, E01, E02, E40, E42 and E44.The printed paper is DCWV and Tim Holtz. Now it's your turn to join us. Leave some love and visit all our hoppers for a chance to win a set all your own! Rad card! Her wings look awesome! I love everything about it, though I especially love your coloring and her halo. Absolutely gorgeous! I love the coloring, the halo, those background papers, great job! Great card! I love the coloring on your card.